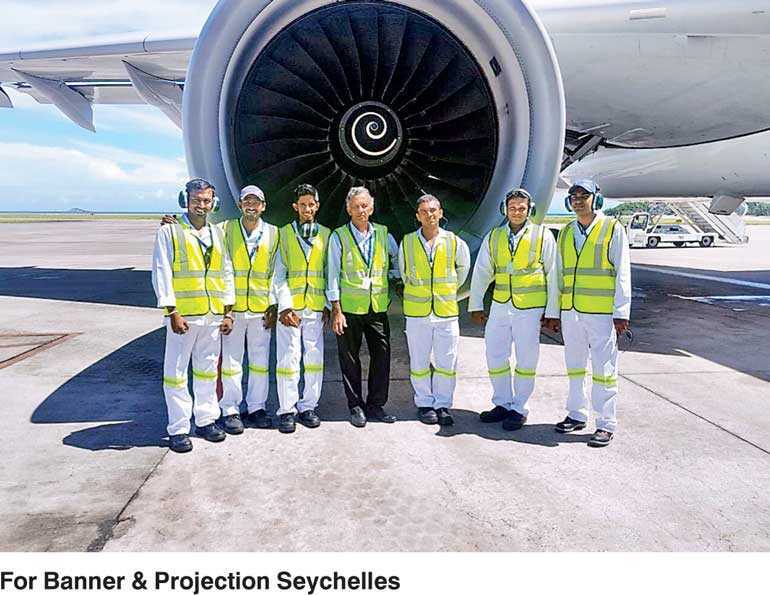 Air Seychelles, the national airline of the Republic of Seychelles, signed a memorandum of understanding (MoU) with the Colombo International Nautical and Engineering College (CINEC) based in Sri Lanka to provide internship opportunities in aircraft maintenance to students from the academy. The agreement was signed last Friday at the CINEC Campus in Sri Lanka by the Air Seychelles Chief Executive Officer Remco Althuis and the CINEC Chairman, Managing Director and President Captain Ajith Peiris in the presence of the airline’s Chief Commercial Officer Charles Johnson and the CINEC Vice President Professor Nalaka Jayakody. Air Seychelles was established in 1978 and began long-haul services in 1983. The airline currently offers international flights to Abu Dhabi, Johannesburg, Mauritius and Mumbai. Air Seychelles also offers more than 350 domestic scheduled flights a week throughout the archipelago, including domestic charter services. As the national airline of the Republic of Seychelles, Air Seychelles is a pillar of tourism, the island nation’s strongest and growing economic sector. The airline maintains a strategic partnership with Etihad Airways, the national airline of the United Arab Emirates and 40% stakeholder. CINEC is the largest and most diversified non-State higher education institute that also provides a Higher Diploma in Aircraft Maintenance Engineering, approved by the Civil Aviation Authority Sri Lanka (CAASL). This partnership seeks to achieve excellence in the important field of international civil aviation.